A special church thanks giving ceremony was on Friday December 20, 2013, organised in honour of the Paramount Chief of Buea, H.R.H. Chief S.M.L. Endeley. 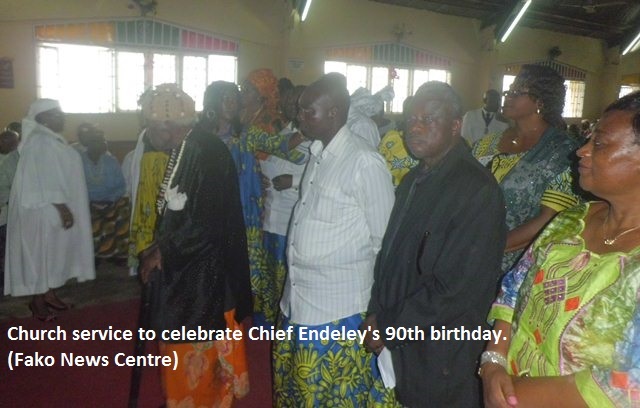 Though Chief Endeley turned 90 on the 9th of June 2013, his children, grandchildren and relatives still decided to offer this special thanks giving ceremony to thank God for the life of their father, grand-father, uncle and friend who has made enormous contributions to their lives. During the church service at Presbyterian Church Buea Town, one of the officiating ministers, Rev. Hosea A. Ngwa, called on Chief Endeley and other chiefs present to learn from the lives of King David, King Solomon and other great Kings recorded in the Holy Bible who were a blessing to their people. H.R.H. Chief S.M.L. 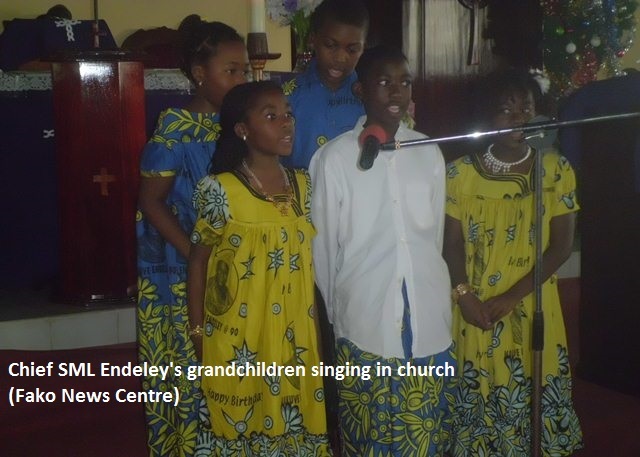 Endeley was blessed with a special song presented by his grandchildren from the United States of America during the occasion. The occasion was also graced with traditional dances and choral songs that took place at palace.